Isn’t it About Time That You Took a Vacation?! Yes! 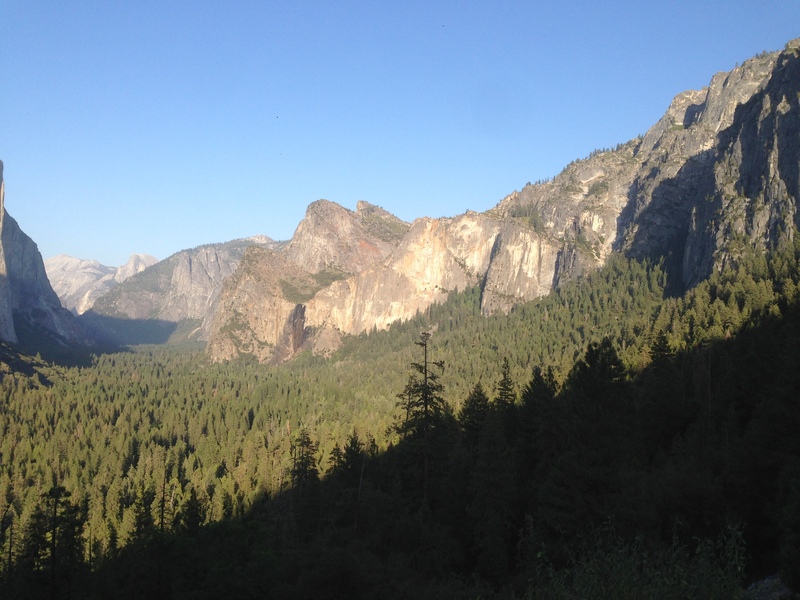 I have just returned from vacation at Yosemite in California. It was glorious, fabulous, wonderful and elating; all of the things that a true and proper vacation should be. My husband and I hiked tall mountains. We did obligatory sightseeing in San Francisco including a ride on the historic cable car. We put our hands into a 700,000 year old saline lake at Mono Basin. We fully enjoyed ourselves and now we have returned with renewed energy to once again take our ranks among the working class. I will admit, though, I was more than a little dismayed to meet several people from Europe (France, Germany, Denmark, Ukraine) who were on very long holiday. One young couple had purchased a truck and camper in Ontario and were driving to Argentina over the course of a year. Once in Argentina, they were planning to sell their truck and return to life in France. Another gentleman from Ukraine was traveling the USA with a friend who had met him in Florida. Since July, they had ridden motorcycles across the western part of the US and were getting ready to head back to Florida to return home. Many others were traveling a similar path, as these were just the few that we spoke with personally. Meeting these carefree and adventurous people saddened me because they made me realize that we as Americans are so far removed from a life of true connection with anything other than work and our daily routine. I have known for sometime, since working in corporate, that we as a country fail miserably when it comes to taking our vacation. I know many people who actually “lose” some of their vacation days every year because they cannot or will not take them. It’s scary out there right now in the working world. Companies can and do get rid of employees often and sometimes taking a vacation while there is “work to be done” can leave a negative, lasting impression with managers and bosses. I cannot answer those questions for anyone but myself. I answered those questions long ago. I could have had a lot more money but the cost was too great. I could have spent more time at work to go farther up the ladder but the return I sought could never be given to me by a company. Life. Happiness. Freedom. Independence. Those qualities spur me onward and at the same time hold me back. Am I happy? Yes! Am I satisfied? You bet! Do I have regrets? Very few. I challenge you today to take a good, long, thoughtful look at your life and ask yourself those questions. If you are not satisfied and you need a vacation, plan it. Make room in your schedule and your budget to get back to yourself and to your family. Give yourself the time you so desperately need to realize the things that are important to you. And then go and have some fun and adventure! I see your point, and understand the value you place on vacation…there’s nothing like getting out of the routine to provide a fresh perspective. However, this summer felt very relaxing overall — with just a couple trips out of town. The slowed down pace without the hectic schedule gave me the space to reconnect and recharge. Obviously not the same as getting away, but still nice. Thanks:-) l admire your ability to enjoy!